England boss Gareth Southgate has confirmed that Steve Holland will be joining in with the national team as the new assistant boss. Holland will be taking over this role after quitting Chelsea at the end of the season. 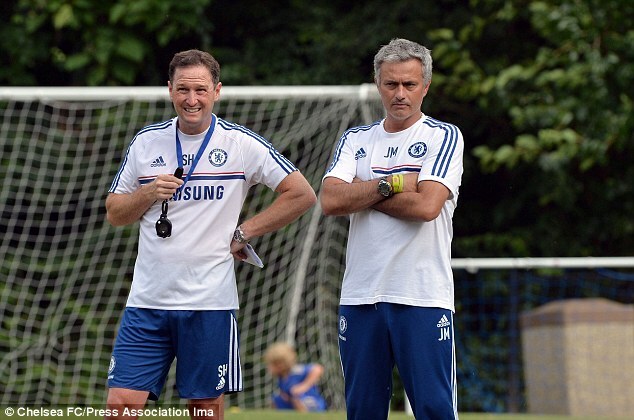 He has been the assistant boss at the Premier League outfit for the last five years after being appointed in 2011. During this period, he has been part of the squad that won the Champions League, Europa League, FA Cup, and Premier League titles. He has also worked with some of the best managers in the world like GuusHiddink, Jose Mourinho, and, recently, Antonio Conte. After having been temporarily involved with the England national team as the assistant boss, Holland says that it is a pride moment to be announced as the permanent assistant manager for the national team. He has been working alongside Southgate for the last three years. The immediate concern for Holland should be the upcoming Premier League match with Bournemouth, but he says that he is already looking forward to working with England on the World Cup qualification campaign. The national team recently appointed Southgate after the former Middlesbrough manager proved his steel and the quality in the four matches as the interim boss. Holland thanked Chelsea for providing the opportunity to work extensively over the last five years.“I am delighted to have Steve as my assistant manager. We have worked very closely for three years and I have upmost respect for the way that he works, his professionalism and the detail of his preparation.Our aim at the start was to encourage a young England team to play in a certain style and to develop a winning mentality; I think we certainly got a long way down the road to doing that with the U21s,” said Southgate.